The musicians were only two or three years older than me, but seemed like grown men. Girls fawned over them. I was mesmerized by it all–the music, the swagger, the adulation. It had never occurred to me that someone close to my age in my hometown could do what they were doing. The music was new to me too. My mom’s radio at home was tuned to the Bobbys (Darin, Rydell, Vee), Brenda Lee, Lawrence Welk, Paul Anka, Connie Francis, Pat Boone, Percy Faith and so on. I didn’t know music could be so visceral until I heard the Vandals play live on a summer night. A few months later, during the winter, I had a birthday and officially became a teenager. As I was riding the bus from school, I noticed groups of girls excitedly huddled around transistor radios every time certain songs were played. Intrigued, I went home, spun the dial and found the station. The group was called the Beatles and the sound was addictive. “I Want To Hold Your Hand” and “She Loves You,” over and over. Only one station in Columbus played the Beatles–WCOL-AM–and it was all I listened to from then on. Along with my parents and younger brothers, I watched the group on The Ed Sullivan Show in February 1964. My dad was dismissive, my mom amused and my brothers oblivious. I was hooked. At school, girls idolized the Beatles, boys emulated them. We grew our hair long and wore mod-inspired clothes. Guitars were purchased and bands were formed. We anxiously awaited each new song, each new album. The music of the Beatles and the bands that followed joyfully propelled us through our impressionable early-teenage years. 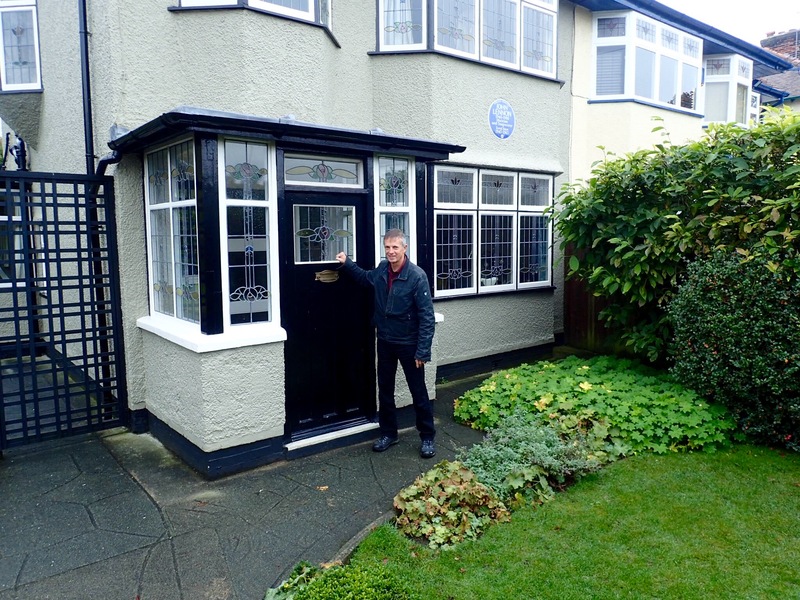 So, to find myself standing alone, fifty years later, in the boyhood bedrooms of John Lennon and Paul McCartney was surreal. I arrived in Liverpool, not across the Mersey by ferry, but under it by train. 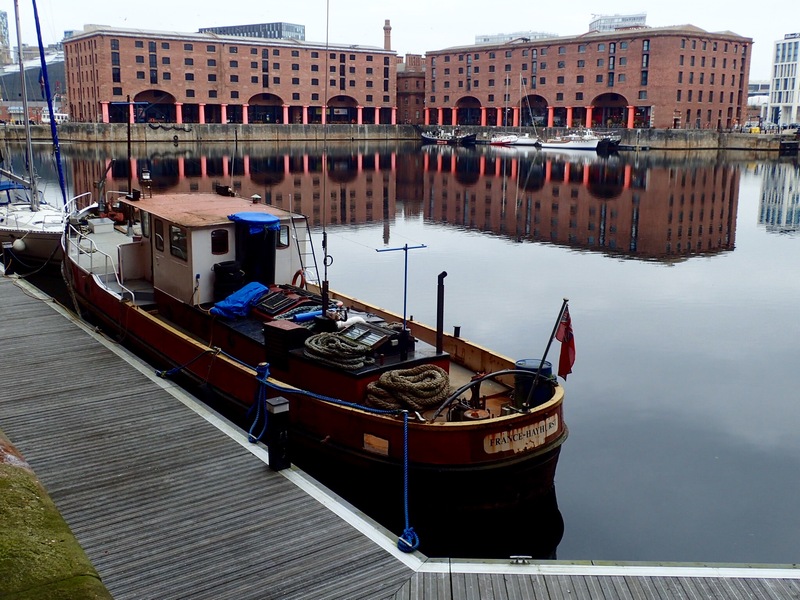 My hotel was on the Albert Dock, a complex of huge warehouses, dating to 1846. Once, they stored brandy, cotton, tea, silk, tobacco, ivory and sugar. During World War II, the dock was heavily damaged by German bombing. Now it is a convention center and tourist attraction with riverside hotels, restaurants and museums. Before the Blitz and Beatlemania, the prominent port city of Liverpool had already seen hundreds of years of turbulent history. During the 1700s, the city dominated the triangular slave-trade system, first shipping English goods to Africa, then transporting enslaved Africans to the Americas, and finally bringing sugar, coffee, cocoa, cotton and tobacco back to Liverpool for manufacturing. Liverpool was the capital of the transatlantic slave trade. Ultimately, Liverpool merchants were responsible for transporting nearly 1.5 million slaves from Africa, more than 10 percent of the total. Their heinous economic engine operated for nearly a hundred years. On the Albert Dock I toured the International Slavery Museum, which presents a history of the “institution,” both past and, unfortunately, present. The museum opened in 2007, marking the bicentennial of the UK’s Slave Trade Act of 1807. The law abolished the slave trade in the UK–but not slave ownership. The museum’s exhibits portray the experience of being a slave in the Americas, share how Europe and America benefited from the trade, and address the legacies of slavery. 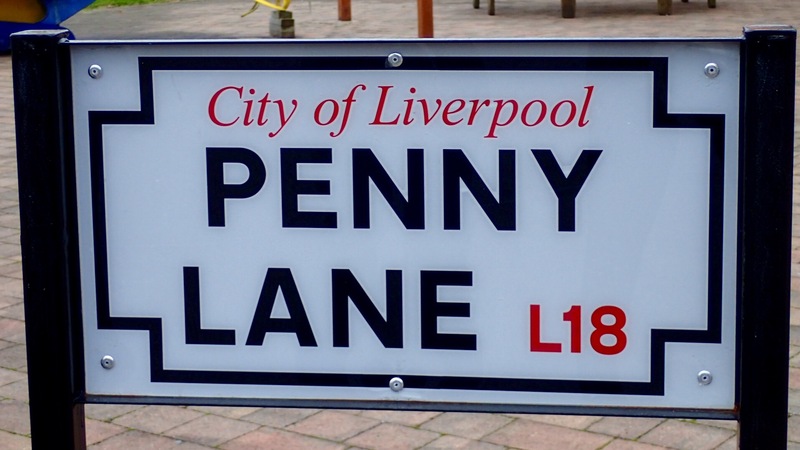 Penny Lane, the road in Liverpool made famous by the Beatles, is named after James Penny. He was the captain of a slave ship. During the American Civil War, England was officially neutral. However, Liverpool merchants were so deeply dependent upon raw materials from America, they quietly sided with the Confederacy. Many warships were built in secret on the River Mersey, as Liverpool became the unofficial home of the Confederate fleet. President Lincoln had an extensive spy network in Liverpool reporting to him on the construction and provisioning of ships destined for the South. At the outbreak of the war, the Union blockaded Southern ports to shut down trade. Forty-two blockade runners, built on the River Mersey and operated by British private interests, worked at slipping munitions and supplies past the Union fleet. The Alabama, a Confederate warship, was built on the River Mersey in 1862 and crewed mainly by Liverpudlians. The Liverpool-built Shenandoah continued to sink Union ships for several months after the war was officially over, unaware of its end. Finally, after sailing “home,” the captain of the Shenandoah walked up the steps of Liverpool’s town hall and surrendered his Confederate ship to an English mayor. I am the starstruck, eternal romantic. I am the gateway to the Atlantic. In 902, Vikings settled in Merseyside. Liuerpul, meaning “muddy pool,” was established as a town in 1207 by King John. After the United State declared its independence, Liverpool was the site of the new nation’s first embassy in 1790. The original consulate still stands on Paradise Street. Liverpool’s ties to North America were fostered through emigration. The city was home to both the Cunard and White Star cruise lines. 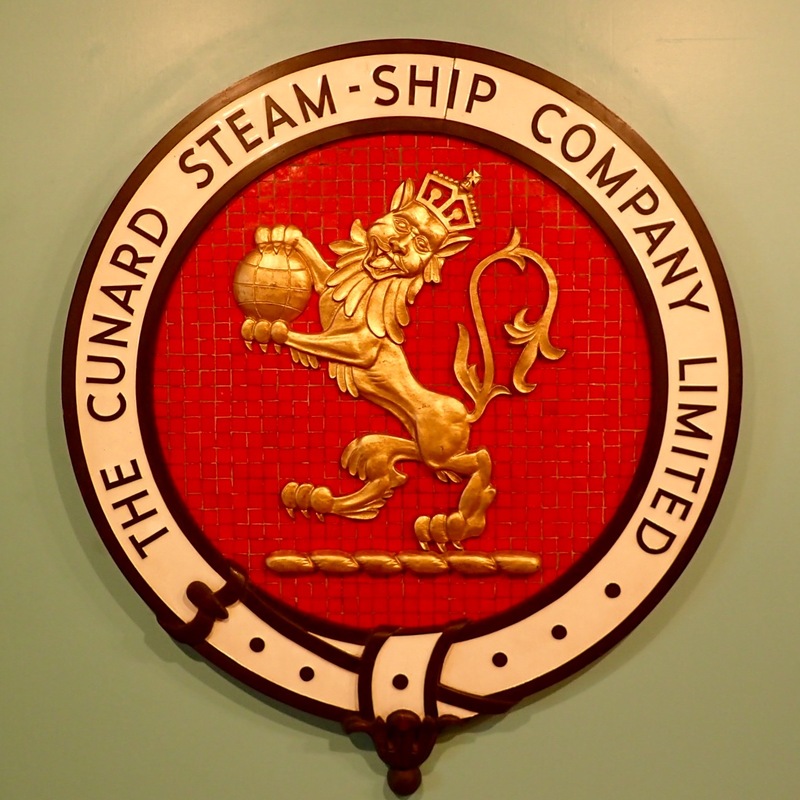 Cunard, founded in 1840, was the first company to offer regular transatlantic crossings. Between 1830 and 1930, Liverpool shipped nine million people, mostly Irish, to America. As one tour guide said, “We have always looked outward toward Ireland and America, never inland toward England,” which explains Liverpool’s fascination with American music. During the early 1900s, the two firms competed to see which could cross the Atlantic in the shortest time and with the most style. Titanic famously sank after hitting an iceberg on her maiden voyage in 1912. Cunard’s Carpathia helped rescue Titanic‘s survivors. Many Liverpudlians lost their lives on Titanic, including the engine-room crew and members of the orchestra. Carpathia was later sunk by a German U-boat. In 1915, a U-boat also sank Cunard’s Lusitania, claiming 1,198 lives, 128 of them American civilians. The attack shocked the United States and strengthened support for a war with Germany. Today, Liverpool’s larger metropolitan area has a population of over two million. The city spreads from the harbor like a fan. A few scars from World War II are still visible, including the ruined Church of Saint Luke, a victim of the Blitz of 1941. Adolph Hitler may once have lived in Liverpool. The legend goes like this: Hitler’s half-brother, Alois Hitler, and his Irish wife, Bridget, lived in the Toxteth neighborhood of the city. In 1912, a 23-year-old Hitler came to visit in order to escape the draft at home. Six months later he returned to Austria. In the early 1940s, Bridget wrote about Hitler’s visit in her memoir. However, no other evidence exists to substantiate the rumor. Some historians believe Bridget fabricated the story to capitalize on her half-brother-in-law’s fame. In 1940 and 1941, Germany heavily bombed the UK, targeting large industrial towns and civilian centers. During the Blitz, Liverpool was attacked more than any other city, except London. The reason: its huge port, which brought needed food, fuel, weapons and, eventually, American troops, into the country. Hitler directed his bombers to annihilate Liverpool. Ironically, in January 1942, they leveled the house where he may once have lived. Liverpool’s role as a port city has attracted a diverse population, drawn from several cultures, particularly Irish and Welsh. The city is home to the oldest African community in England and the oldest Chinese community in Europe. Although natives of Liverpool are called Liverpudlians, colloquially they are known as Scousers. Scouse is a corruption of the Scandinavian word for stew, an inexpensive meal for sailors and migrants in the 1800s. Now, Scouse is associated with Liverpudlian culture and dialect. Scouse is practically its own language with words like clobber (clothes), scran (food) and ozzy (hospital). Scousers are known for being independent, sarcastic and quick-witted, as the Beatles often demonstrated during their interviews with the media. Scousers say they’ve developed their biting sense of humor to cope with the hardships they’ve experienced in their lives, caused by war and poverty. Q. Why does the River Mersey run through Liverpool? A. Because it doesn’t want to get mugged. Enough with museums. Time for music. I walked to Mathew Street, home of the Cavern Club. How is it possible that a damp, dingy, smoky hole-in-the-wall jazz club in a back alley of an economically depressed, bombed-out city would become the proving ground for a musical sound that would change the world? The original Cavern Club, a vaulted cellar in a fruit warehouse, opened on Mathew Street in 1957. Mathew Street is cobbled and dark, and in those days was cluttered with crates of produce. In World War II, the cellar was used as an air-raid shelter. 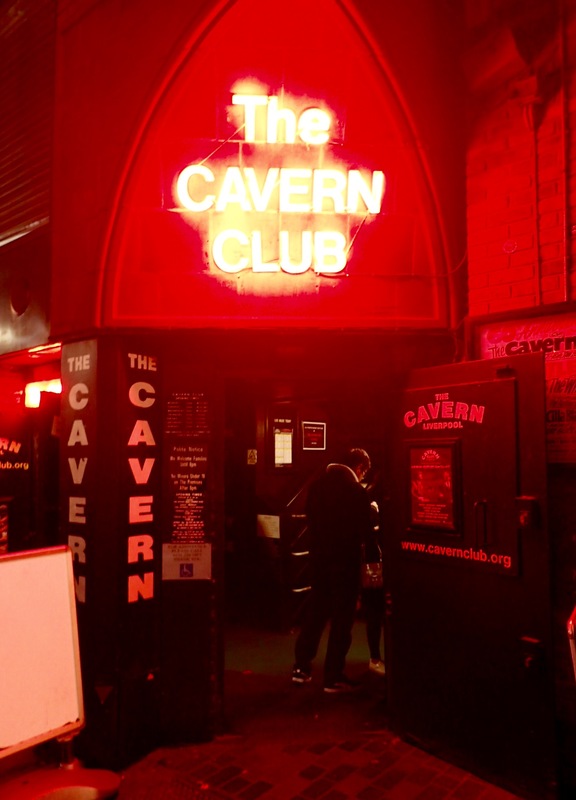 The Cavern was intended to be Liverpool’s beachhead for jazz and, while it may not have been the birthplace of rock ‘n’ roll, it was certainly, for a moment in time, the center of the musical universe. 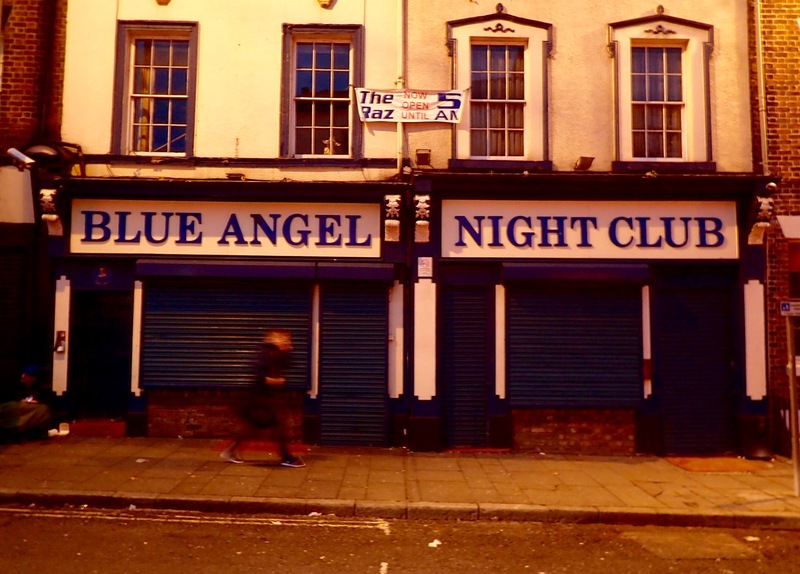 The club closed in 1973 to make way for the Liverpool subway. The building above it was leveled and the cellar filled with refuse. Then, someone realized they had buried the treasure. 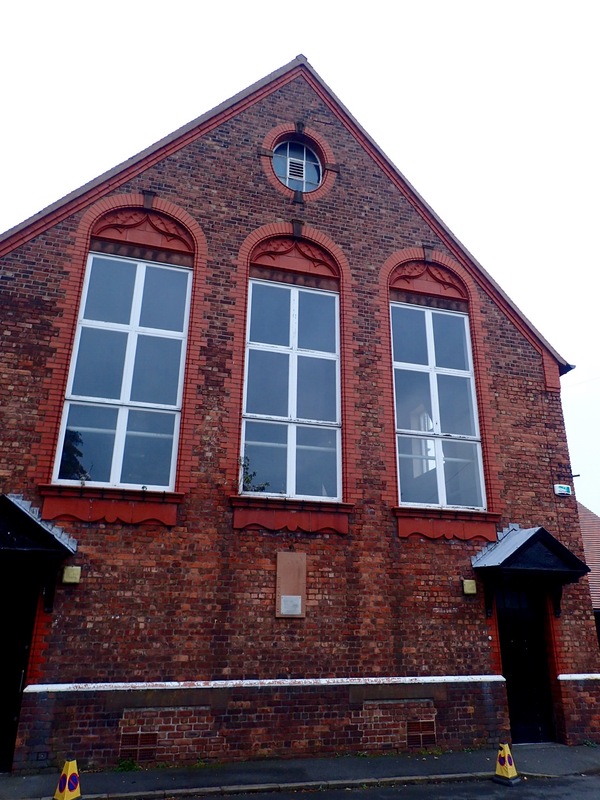 The club was excavated and rebuilt using the original plans and the original bricks. It reopened in 1984. Now, Mathew Street is crowded with revelers. Tourists pose for photos next to a statue of John Lennon. Street musicians play Beatles’ songs. 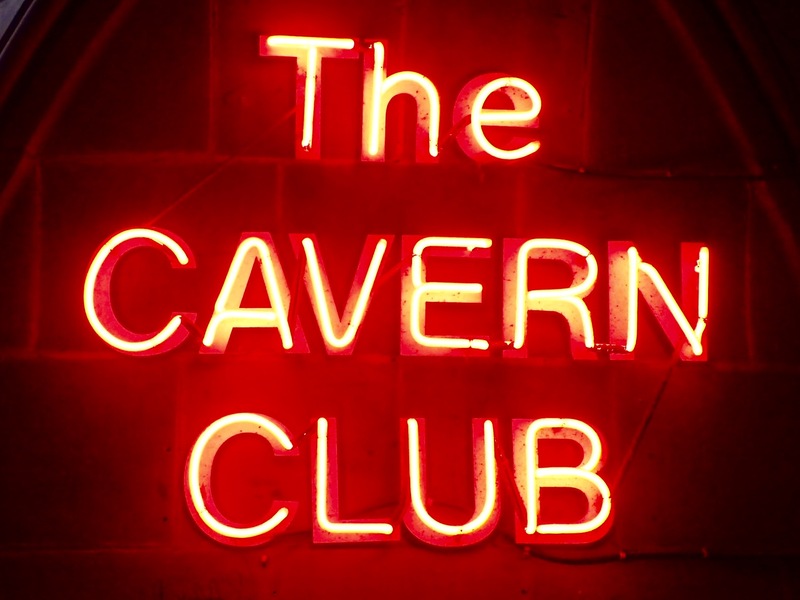 Then, I found it–the red neon of the Cavern Club. In a second I was down the stairs, into the packed cellar and back in the 1960s. Vaulted ceilings, stone walls and a tiny stage. Musicians play live all day. T-shirts are sold. And beer. (The original Cavern did not sell alcohol.) The club was crowded with people like me wanting to touch history. In those days, the Cavern audience were office workers and shop girls on their lunch hour. Secretaries, messenger boys and hairdressers. Most were in their late teens and early twenties, dressed for work. The club served sandwiches, soup and tea. From 1961 to 1963 the Beatles played the club 292 times. Their last concert was a month before recording “She Loves You” and six months before visiting the United States. Since then, every artist you can name, from the Stones to Adele, has played the Cavern. 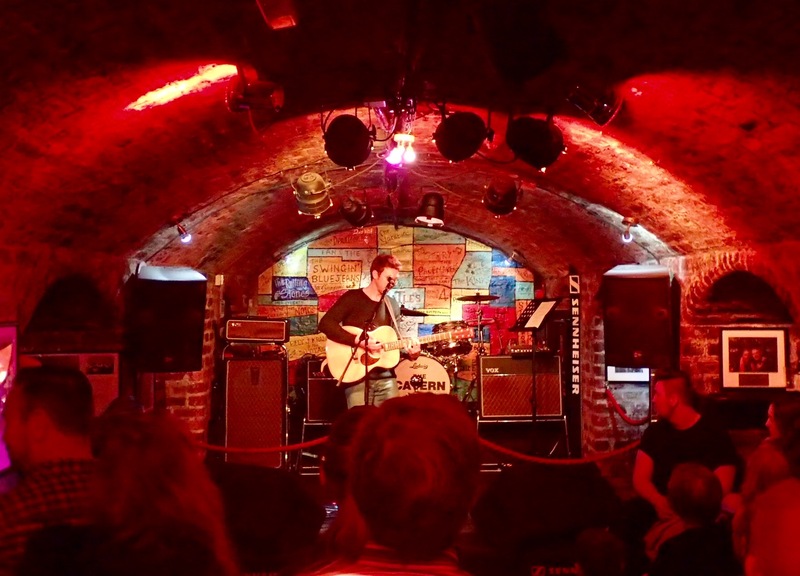 Despite being rebuilt for tourists, the Cavern Club was, for me, both nostalgia and nirvana. The low arched ceiling, the grimy walls, the loud music. Everyone enjoying the trip in the time machine. Afterward, I stopped down the street at the Grapes. 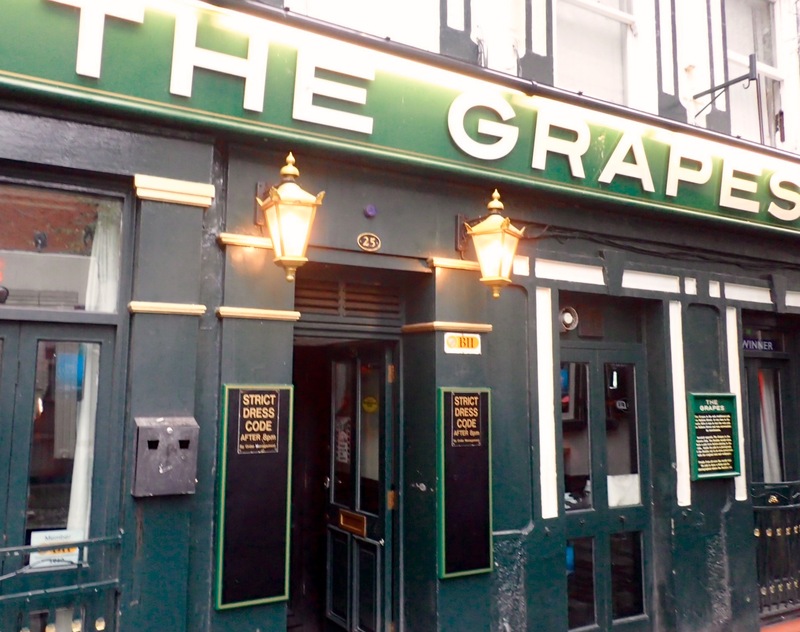 In the ’60s, the Grapes was the only pub on Mathew Street. The Beatles used to enjoy a pint there before or after their performances at the Cavern. Inside is a large photo of the pre-Ringo Beatles, relaxing with cigarettes and ale in their favorite booth. Nearly everyone in Memphis has a personal Elvis story. They waited on him, babysat for him, delivered a car to him. 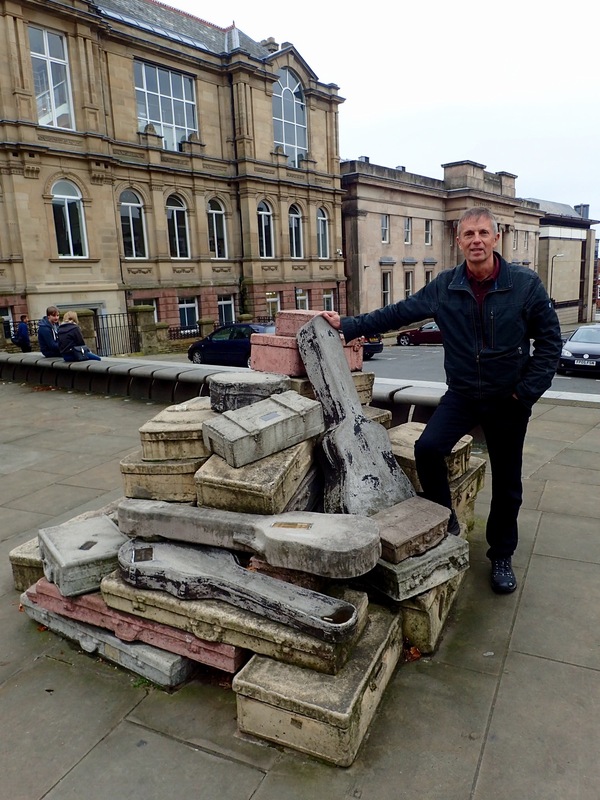 Likewise, Philip Hughes, my Scouser tour guide in Liverpool, had several Beatles’ connections, having known or spoken with several of their family and friends. 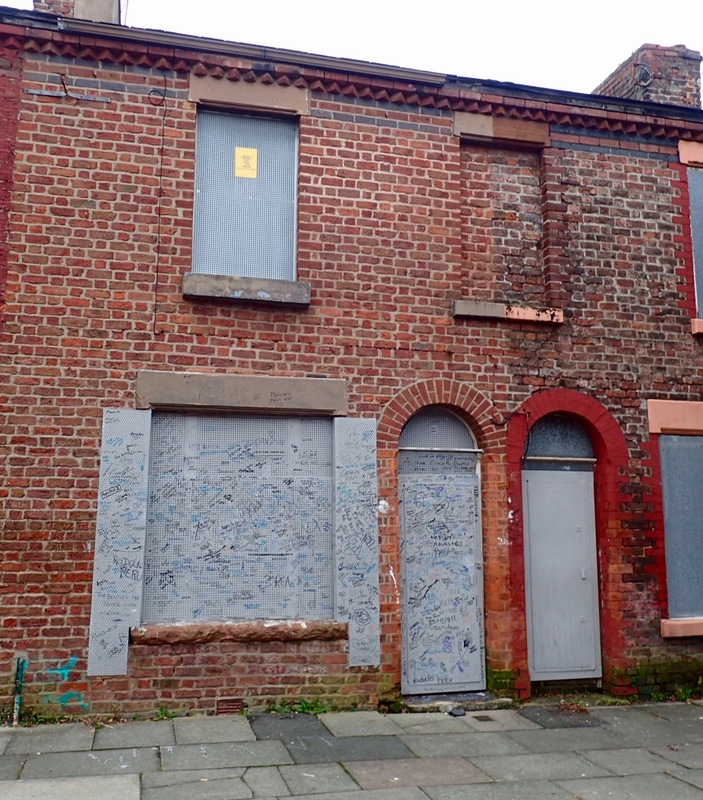 Scenes from the miniseries Peaky Blinders are shot in the derelict houses on Powis Street, one of Toxteth’s Welsh Streets, and the next street over from the house where Ringo Starr was born. The area, including Ringo’s home, was slated for demolition but those plans are now being reconsidered. The only way to see the insides of Lennon and McCartney’s boyhood homes is through the National Trust. Small guided tours, just fifteen people at a time so as not to bother the neighbors. No photos inside. 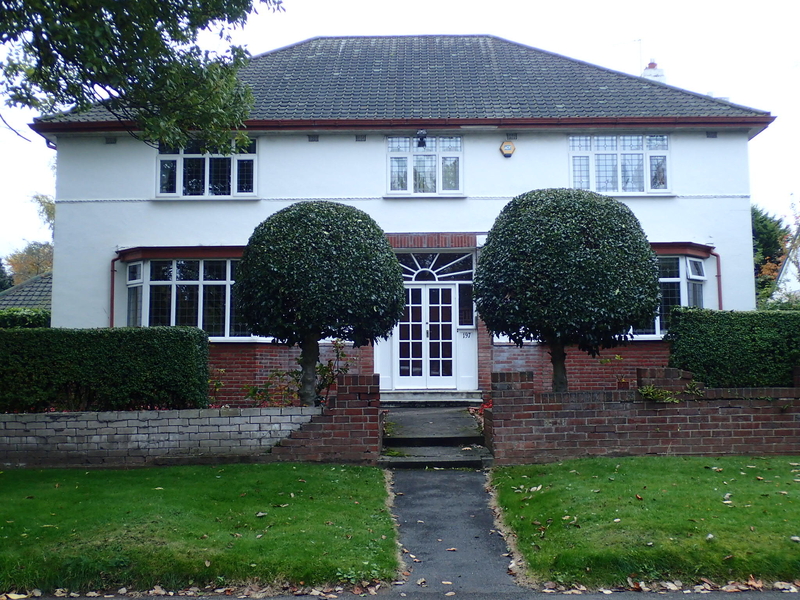 Not sure what I expected, but the remarkable thing about these two houses is how unremarkable they are. Both are plain, run-of-the-mill suburban homes. Lennon’s is in the nicer of the neighborhoods, a leafy suburb with a median. The house is stuccoed and decorated with art-nouveau windows. The rooms are small. 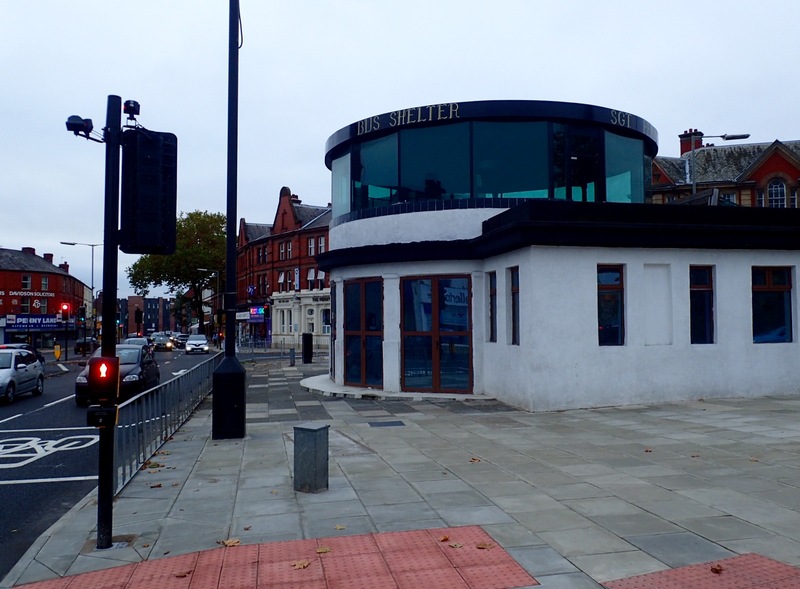 As only a few updates were made since Lennon’s Aunt Mimi moved out, most of the original fixtures are still in place. The house has been redecorated in the style of the 1950s and ’60s. Even some of Mimi’s furniture is in the living room. In front was the small enclosed porch where Lennon and McCartney practiced Everly Brothers’ harmonies. Throughout the house are Lennon’s drawings and school-report cards. The backyard is just two lots away from Strawberry Field. And upstairs was Lennon’s small bedroom, plastered with period posters of Elvis and Brigitte Bardot. It’s where he quietly practiced his guitar so as not to disturb the veterinary students who lodged at the house. And where “Please Please Me” was written. Oddly, the guide at the Lennon house looked very much like a tall Ringo Starr. He said the lyric, “I call your name but you’re not there,” was written after Lennon’s mom, Julia, was killed by a car as she crossed the street in front of the house. 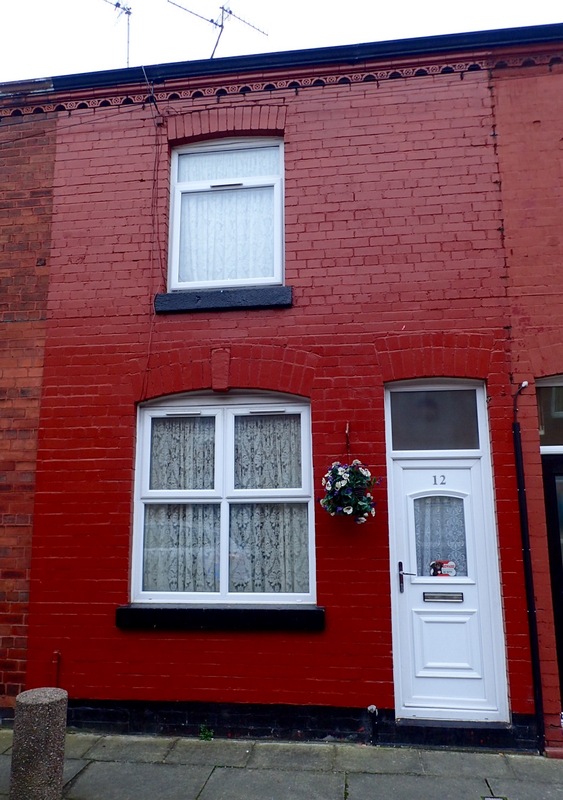 McCartney’s blue-collar home was a row house, cozy, dowdy and even plainer than Lennon’s. McCartney’s brother, Mike, advised on the restoration. Many of the photos he took of the early Beatles practicing in the living room are on display. The house could have served as a model for Wallace and Gromit’s home. The tiny dining room was converted to a rehearsal studio with egg cartons on the wall to keep the neighbors happy. In the living room was a replica of McCartney’s dad’s upright piano, which the guide invited us to play. She said over one-hundred Beatles’ songs were written in the living room, where John and Paul frequently collaborated while skipping school. 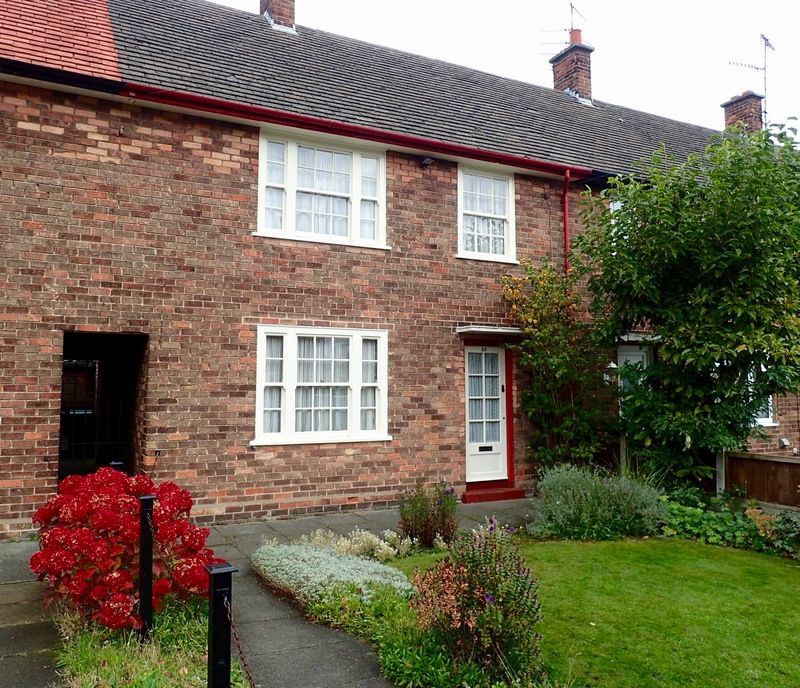 Lennon and McCartney lived in these homes even after their initial success. Cynthia and Julian Lennon stayed with Aunt Mimi while Lennon toured. McCartney’s dad used to serve tea and cookies to girls who camped outside, waiting for a glimpse of his son. 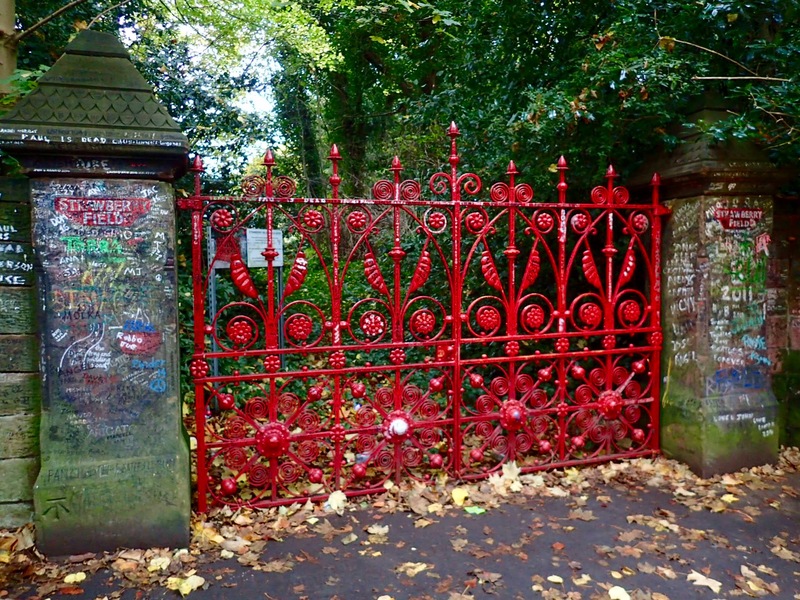 Seeing the Beatles’ neighborhoods, homes, schools, churches, halls and clubs reinforced how astounding their journey was. They were teenagers, skipping school and playing cheap guitars, driven by their undefined vision to be rock ‘n’ roll stars. They rode bikes and buses long distances throughout the city to play coffee clubs and seedy bars, often for free. It seems impossible they accomplished world-wide fame and fortune from such humble beginnings. 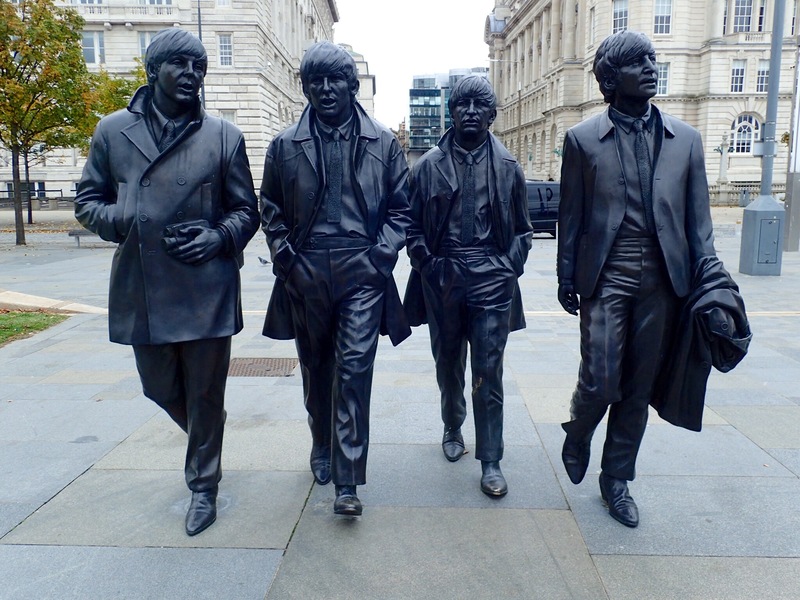 The Beatles have bequeathed Liverpool more than music and memories. They left an industry–museums, tours, souvenir shops, restaurants, pubs, cover bands and more, all Beatle-themed, many probably unauthorized, all pumping revenue into the old hometown. At the conclusion of each National Trust tour, we were released to wander around Lennon’s and McCartney’s homes on our own. I took time to revisit the bedrooms, decorated to look like any teenage boy’s bedroom, including my own, during the 1950s and ’60s. In 2009, another pilgrim did the same. He was particularly fascinated by the collection of books Lennon read as a boy. The visitor wore a hoodie and went unrecognized by the other tourists on the minivan tour, probably because they were absorbed in Beatles’ lore. The tour guide, however, was aided by a list of the visitors’ names. He recognized the Beatles’ fan in the hoodie, who, now, is a recent Nobel-Prize winner. 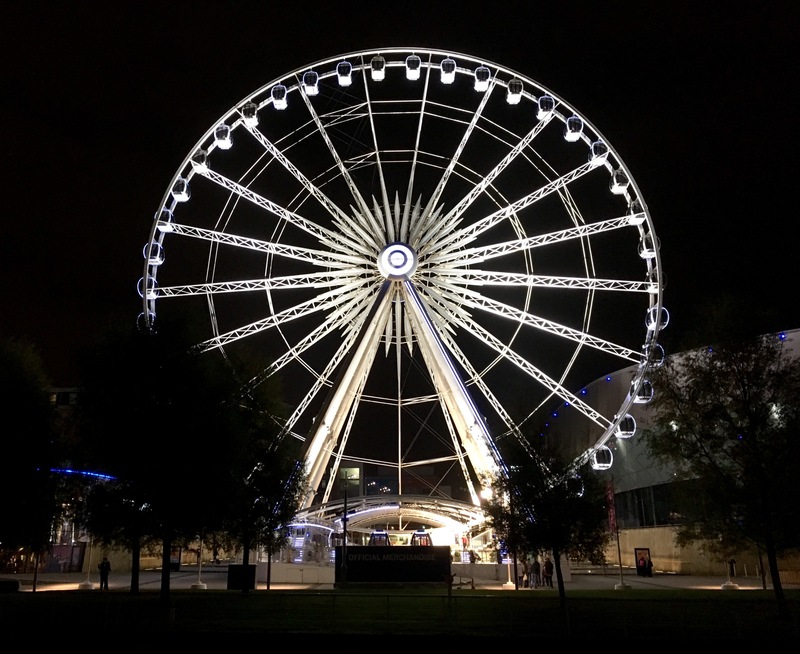 Fascinating–I need to visit Liverpool! Thanks for sharing the wonderful descriptions, insight and details! I so enjoy your entries, Kirk. You are living my dream and I thank you for sharing! What a great post – loved your journey and look forward to hearing more about it soon. Couldn’t visit on this trip, but looking forward to someday. Thanks for sharing Kirk – great stuff!!! Mersey Beat was my favorite posting! What a treat to see those early sixties through your teen-age lens. As I was just married and living in Minnesota then, the world looked very different.